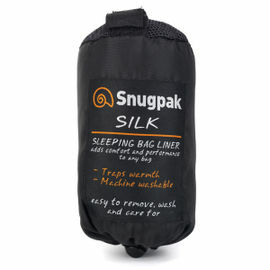 The Snugpak Special Forces Bivvi Bag is a tough, lightweight and 100% waterproof cover for you and your sleeping bag, designed for use when sleeping without a tent. This is a hard-working bivi bag, offering reliable protection from wind and rain, and its low weight and small pack size make it ideal for keeping in your rucksack as part of your emergency overnight kit. One of our favourite features of this bag is its central zip design, which makes it perfect for use with the Ray Mears range of sleeping bags. Snugpak Special Forces Bivvi Bag - Olive is rated 4/5 based on 4 customer reviews. I tried it in Payson Arizona which considered a dry place and still I got lots of condensations in the morning even though I had the zipper opened half way. 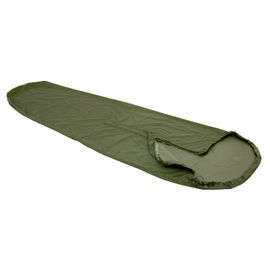 Its good for cowboy camping and to keep your sleeping bag clean, but I would not use this with Down sleeping bags because of condensations and also I would not use this at below freezing temperatures. 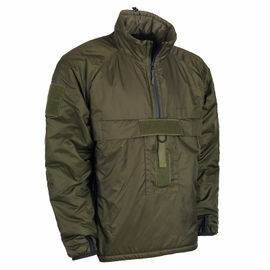 I have a Goretex one and I have to say that one works way better for the price. Quick delivery. I haven’t used the item yet. Big enough for one person two at a squeeze in a survival situation. Packs away really small. I am a little weary as to the quality of the item. It doesn’t look as strong or well made as the military bivi bag I am used to. I am also weary of the flap over the zip as this doesn’t seem to be large enough to prevent water ingress in my opinion. Time will tell. The best feature of this bivi bag is its size when packed away. Very Good and prompt shipping. Item designation could be more precise. I recommend the item greatly. The SF Snugpak bivvi bag spent the weekend in the cold and wet Blue Mountains (Australia) and kept me perfectly dry despite the rain with no condensation. This bivvi bag is quite roomy and was very comfortable for me as a side sleeper. Packs up small, would recommend to anyone looking to ditch the tent.